Hi there! 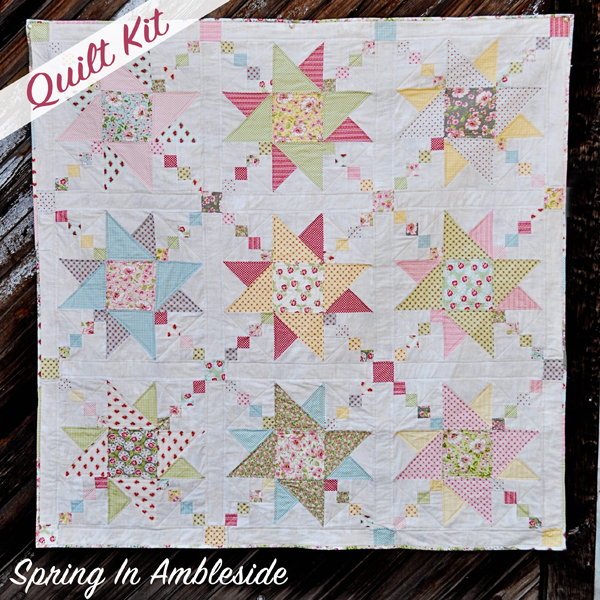 I am really excited to share this new quilt with you guys today!! Last Quilt Market, we were introduced to this lovely new line of fabric called Ambleside by Brenda Riddle for Moda . I fell in love immediately! It was so lovely, delicate, and soft. I knew I had to design a quilt for this fabric! I am pretty darn smitten with how this turned out! My awesome mom pieced and quilted this quilt. She did such a great job! It is so beautiful in person, and the design translated so well into the quilt! I am so happy with how it turned out. She quilted this on her domestic machine, and kept the quilting very simple with straight line quilting. I love the simpleness of it, because it makes the fabric stand out and all the lovely prints just pop! Of course, we decided a scrappy binding would be the best for this quilt. 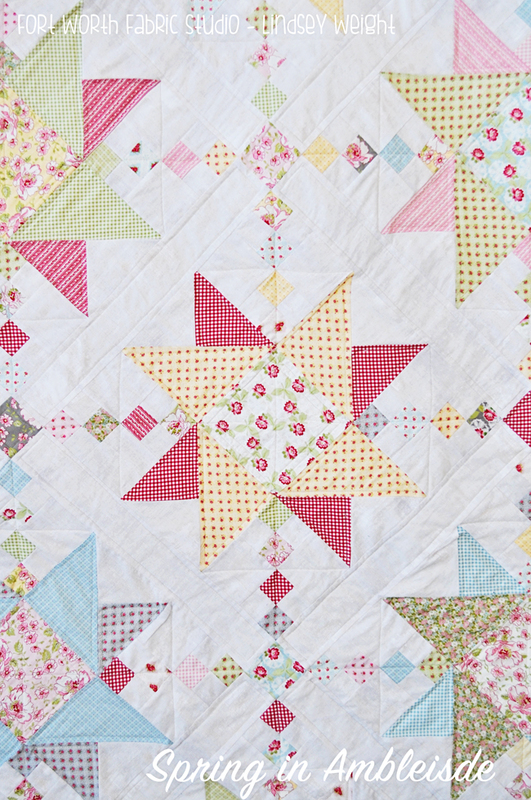 It just ties in all the lovely scrappiness of the entire quilt! Download the pattern for this quilt HERE! 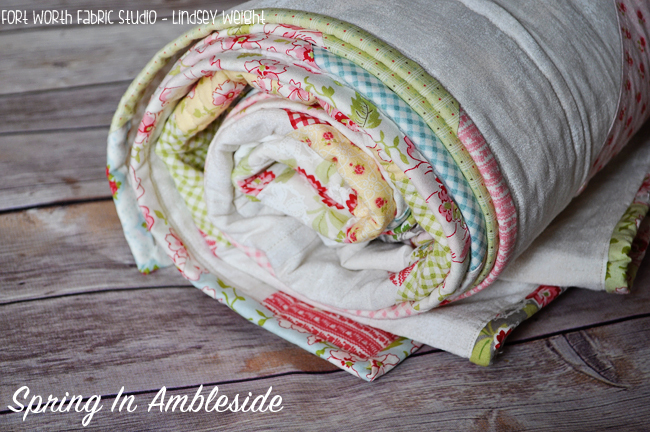 Ambleside is on my list of "have-to-have" fabrics this year. 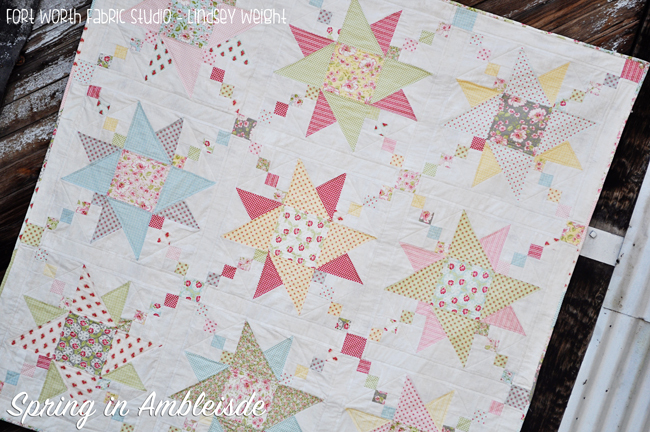 This quilt turned out so lovely! This fabric is so pretty. Your quilt is great!! I saw a charm pack of this at my LQS and it's so pretty. Nicefabrics information. Its so pretty. I love this pattern and I'm wondering how much scrap you had from the fat eight's? I've a bundle of 5 FQ's, would this work if had yardage for the binding?